CMAST’s new residential facility, CMAST Coastal Quarters, officially opened this spring with the second class of the annual Semester @ CMAST program. The need for housing to support visiting faculty, undergraduates, and staff was part of the original vision for CMAST while it was still in the conceptual stage in the 1990’s. The lack of housing was considered a barrier to the development of an undergraduate program where NC State students could reside at the coast, and not only take CMAST-based courses unique to NC State, but also take advantage of the many experiential learning, research and internship opportunities offered. 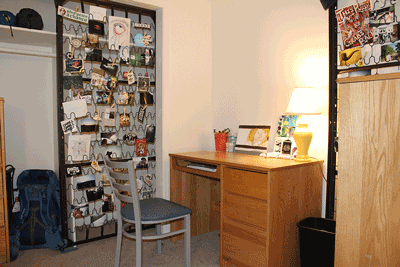 After several external reviews of the CMAST Facility and Programs during 2008-09, the upper administration within NC State recognized the many opportunities that on-site housing would bring to CMAST Programs. In 2015-16, NC State and CMAST acquired the 13-unit Apartment Complex in Morehead City now known as CMAST Coastal Quarters. After extensive renovation, the second class of undergraduates with the Semester@CMAST Program were able to move in and get settled for their intensive course and field work. “CMAST Coastal Quarters has been a game-changer for our CMAST Programs—it expands the capacity of CMAST to support undergraduate programming, as well as the research and extension enterprise,” stated Dr. David Eggleston, CMAST Director. “We are also excited that the Coastal Quarters can become a destination for the Living and Learning Village concept at NC State, and provide a housing option for experiential learning programs outside of NC State. We are also very grateful for this very important investment by NC State University in CMAST”. Located 0.5 miles from CMAST in Morehead City, the CMAST Coastal Quarters is a 13-unit, 12,000 sq. ft. Apartment Complex. There are 9 two bedroom duplex units with the kitchen, washer/dryer, living room, and ½ bath on the first floor, and two bedrooms with attached bathrooms and closet spaces on the second floor. 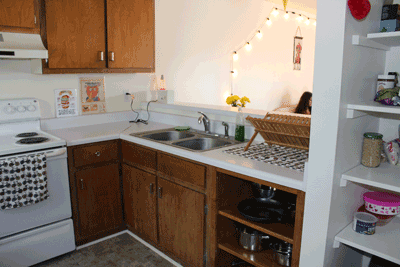 All units have WiFi, and adequate parking is available at no additional charge. Housing is necessary to (1) provide cost-effective lodging on a short-term basis, which will allow students to gain valuable educational and hands-on research experiences at the coast, (2) allow faculty to better use CMAST as a teaching and research tool, and (3) create a living and learning environment at CMAST where visiting faculty, staff and students bring new energy to and exchange ideas with CMAST Programs. 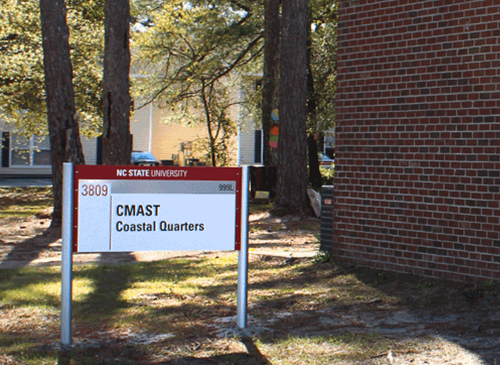 CMAST Coastal Quarters is managed by NC State University’s Campus Housing program, within the Division of Academic and Student Affairs. The property is managed locally by Chalk & Gibbs Real Estate in Morehead City, with back-up support from CMAST Facilities. FY18 (starting July 1, 2017) for 2 people per room: $2,990 /semester, $635/summer session. FY18 (starting July 1, 2017) for 1 person per room: $3,390 /semester, $685/summer session. Staying less than 5 days, $125/night/apartment (to begin July 1, 2017). Staying 5 days or more, $35/night/person. All housing requests should be made via the web-link and the corresponding form with is available on the CMAST webpage.